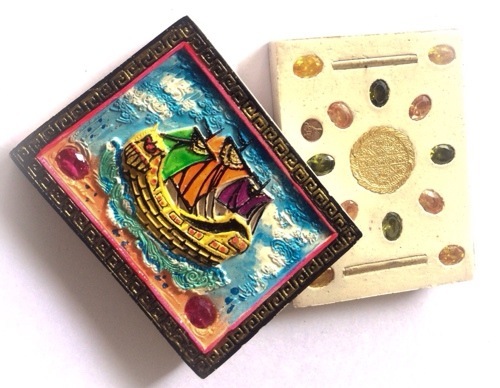 Wealthy Merchant Ship (Chinese Junk, with double silver Takrut and Blessed Gems). 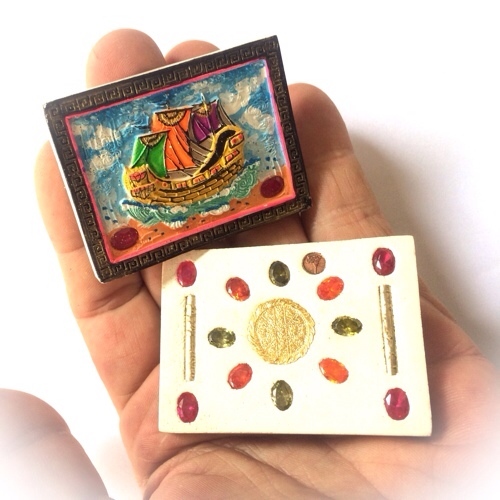 The Sampao Takrut Ngern Koo Fang Ploi is an amulet created by Kruba Krissana in the Be year 2556 under strict guidelines of ancient Wicha knowledge and ceremony. 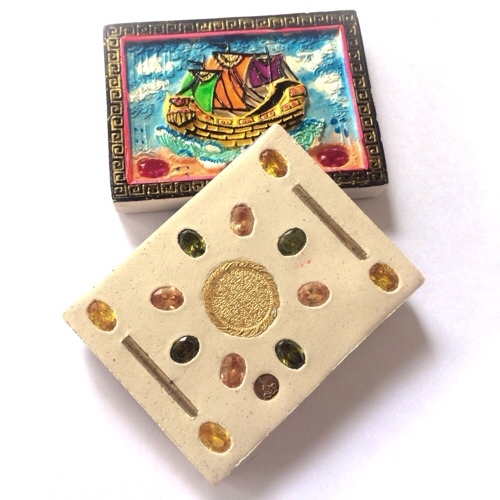 The sacred powders are amassed by secretive means and are specific to Kruba Krissana Intawanoh, the imagery, sacred script and even the smell can all be recognized as an amulet of Kruba Krissana. A sea going Chinese Junk boat merchant navy vessel drifts in a chaotic sea and has ruby gems inserted into the face of the amulet. It is hand painted many bright colors and is surrounded by a golden gilded border with two Ploi Sek Maha Pokasap inserted into the powder base. The rear of the amulet displays the white Muan Sarn powders with 12 Ploi Sek gems inserted into the sacred powder base in a uniform pattern. Two silver Takrut have been inscribed with holy yant and inserted as well as a central 8 direction ‘Rian Narai’ silver Vishnu Yantra coin. 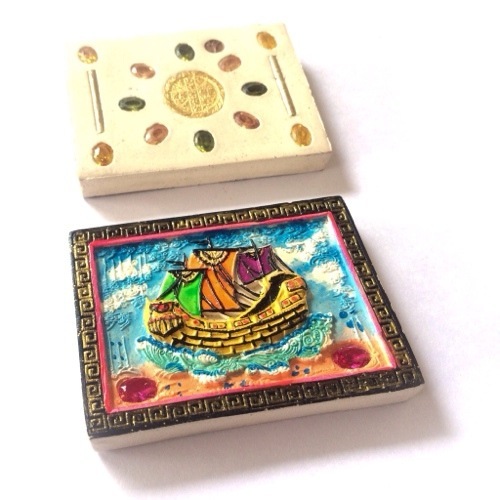 The Vishnu Invocation within this coin amulet, is a very powerful invocation indeed. 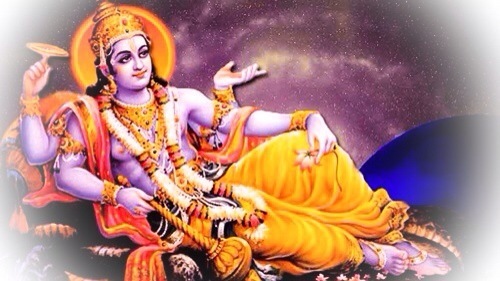 Vishnu is the punisher of all evil doers, and the savior and helper of all living humans on earth. 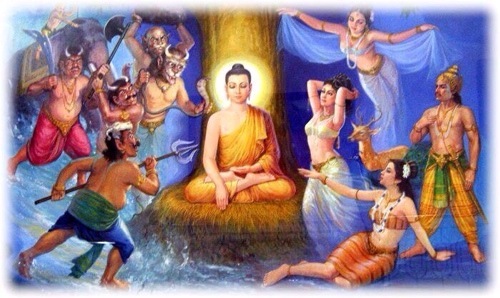 Vishnu is the avatar with 10 incarnations, one of them reputedly being that of the Buddha Sakyamuni. Lord Vishnu has already performed nine of his 10 incarnations on earth, leaving one remaining incarnation, which is said to be, that of the future Buddha Maitreya. 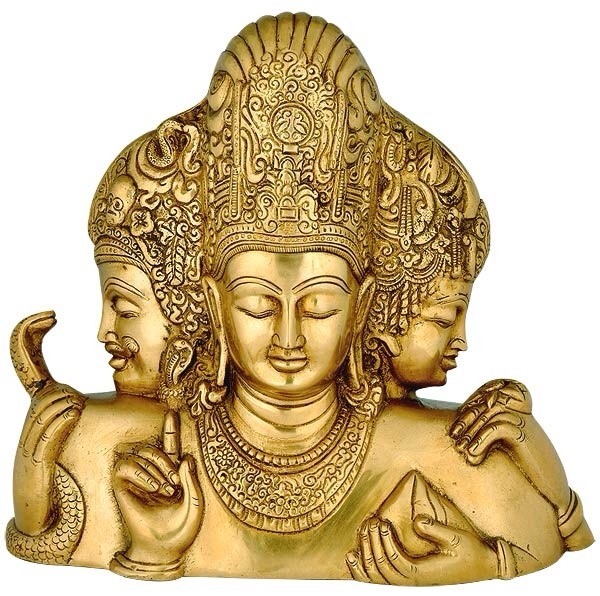 Lord Vishnu, is one of the Hindu Trinity, namely Shiva Vishnu and Brahma. These three deities are actually facets of qualities of one single deity, known as Trimurti. This sacred wealthy merchant boat amulet is along with the Ongk Kroo Masterpiece Version of Kwak Nang Paya, The flagship of the range so to speak. 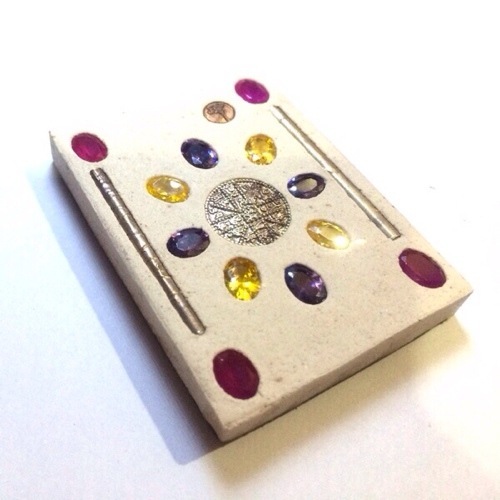 Only 108 amulets were made in this series, and the amulet is expected to become an all time, world-famous classics in the catalogue of Kroo Ba Krissana Intawano’s famous amulets. The amulet comes in original box case from the temple.